I’ve blogged before about Microsoft Word Tips and Tricks and described how to strip out coding when converting a document from Word to WordPerfect. Now that I’ve worked with Office 2010 for a while, it seemed like high time to revisit the subject of tracked changes. If you’re a Word 2007 user, don’t despair. See this post on JD Supra. What Could Be Hiding in My Document? Anything and everything! If you turn on track changes and revise a document your edits will live on in perpetuity until they are accepted or rejected. This may seem obvious, but in Word three nasty traps await the unwary: Final View, Original View, and Show Markup. In Final or Original View, a document appears to be revision free. A great tool, since tracked changes can really wreak havoc with formatting. It’s often useful to move back and forth between Final: Show Markup or Original: Show Markup and Final view to see exactly how the document will appear once it is finalized. The key is “will appear.” Show Markup is even more insidious. You can be in Final: Show Markup or Original: Show Markup view, but if you have inadvertently deselected editing marks under Show Markup they won’t be visible. How Do I Check a Document for Tracked Changes and Comments? Use the Document Inspector. If you were a Word 2007 user, this should be a familiar tool to you. The Document Inspector searches for metadata, including comments, revisions, versions, and annotations. The process to get to it is slightly different in Word 2010, as Microsoft abandoned the Microsoft Office button in favor of the File tab. Here are the steps: Select the File tab, choose Info, Check for Issues, then Inspect Document. 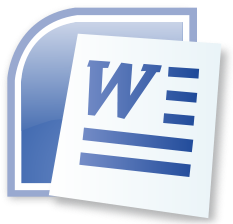 As with Word 2007, it is possible to activate a trust center setting to “warn before printing, saving, or sending a document with tracked changes.” In Word 2010, select the File tab, then Options. In the navigation pane, choose Trust Center. Under “Microsoft Office Word Trust Center,” select Trust Center Settings…. Click on Privacy Options. Under Document-specific settings, check the box “warn before printing, saving or sending a file that contains tracked changes or comments.” For screenshots and tips on saving public and private versions of documents, see Understanding Tracked Changes in Word 2010. This is also another opportunity for me to remind you that you shouldn’t be without Jan Berinstein’s new book, Formatting Legal Documents with Microsoft Word 2010 available on Lulu and Amazon. It is fantastic and you can read more about it here. This entry was posted in Confidentiality, Malpractice Avoidance, Office Systems, Technology and tagged Beverly Michaelis, Metadata, Microsoft Word, Oregon law practice management, track changes by beverlym. Bookmark the permalink. Thank you so much for this! I have been tearing my hair out trying to remove, permanently, changes to a document before sending it away and an online search in Microsoft didn’t help until I found this blog entry. I had already resorted to converting it to a PDF but now, thanks to you, I will know for next time. Based on reviewing numerous users, we have found that almost everyone hates Track Changes, but they have had no alternative until now. SavvyDox is a cloud based solution that provides a very attractive alternative to Track Changes while still using Word. No more multiple colors, no more strikeouts – just a clean page highlighting the changes since the last version YOU read. Page thumbnails even navigate you directly to the changes to avoid having to re read the document. For the author, the reviewers can only suggest changes – you approve putting them into the document – that means no more changes getting into your document that Track Changes didn’t pick up. Sound too good to be true? Find out for yourself at http://www.savvydox.com and sign up for a free trial. According to Microsoft: “You can’t choose which color Word assigns to reviewers, but you can choose colors for different types of markup. If you prefer to have colors determined by the type of markup, instead of by author, select a color from the drop-down menu.” Here are the instructions for Word 2013 http://office.microsoft.com/en-ca/word-help/advanced-track-changes-options-HA104079572.aspx. If you have an earlier version of Word, the steps may vary. Go to http://office.microsoft.com/en-ca/support/?CTT=97. Under All Products, select Word. In the search box enter “Can I change the colors in Tracked Changes for Word [the year of your version]. You could also Google this question – just be sure to include your version of Word when you run the search. I am emailing a doc with tracked changes and it seems those on the receiving end, when opening the doc up, only see the red bar at the side that a change has been made OR they see the changes made but not the sidebar that shows what was removed. In the document I am working on, all of that shows up and I save it that way. Those on he other end are no familiar with tracked changes etc so I am trying to guide them on their version how to make everything reappear. How can I email the doc and ensure when the receiver opens it they see exactly what I saw when I saved it? This is a tough problem to diagnose without seeing the actual document. However, let me give you a quick, easy solution followed by some possible explanations for this problem. The solution is to open the Word doc with tracked changes visible and convert it to a PDF. Email the PDF along with the Word doc if the receiving party needs to be able to manipulate the original. The receiving party can reference the PDF to see all tracked changes as intended. If necessary the PDF can be created by printing and scanning – ideally in color so the tracked changes are easier to see. What could be causing this: 1. The receiving party is unfamiliar with Word, something you can’t control and is indeed the situation you are describing 2. Receiving party doesn’t have Word or has a version that is at least two versions removed from yours or a different OS. Remember that tracked changes docs have multiple views – original, final, original with markups, or final with markups. So if the receiving party is looking at the document in final view they won’t see your edits. They will see what appears to be a document in final form. Because they seem to be seeing some markups and not others I suspect: 1. They have a different version of Word – older, newer, or a different OS (you are using Word for Windows, they have Word for Mac). 2. They have changed how tracked changes appear by changing the options in Word. You can view tracked changes in balloons or in-line for example. If they’ve changed this setting there is not much you can do. One final idea: have you tried emailing this doc to yourself or someone else in your office? How does it look to you or your office mate when you open the email attachment? Do you or your co-worker see all the tracked changes? If so you are doing everything right on your end.